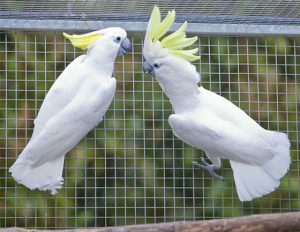 Triton cockatoos (Cacatua galerita triton) are a subspecies of sulfur-crested cockatoos. They are large, affectionate birds and can be an excellent choice as pets. 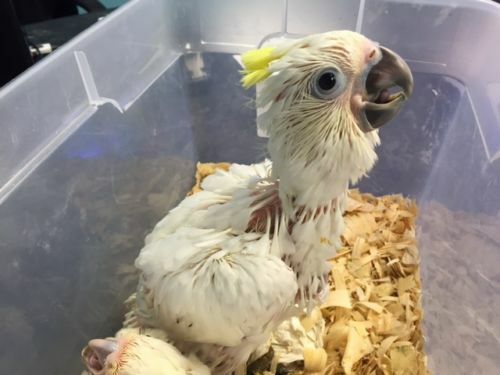 However, they are inclined to screaming, which might make it hard to keep for apartment dwellers. 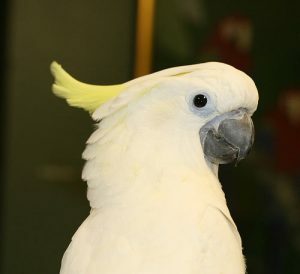 A lot of triton cockatoos lose their homes because of this character trait. A sturdy cage with ample room is what is required for a triton cockatoo as they are excellent escape artists and can easily bite open flimsy cages with their strong beaks. 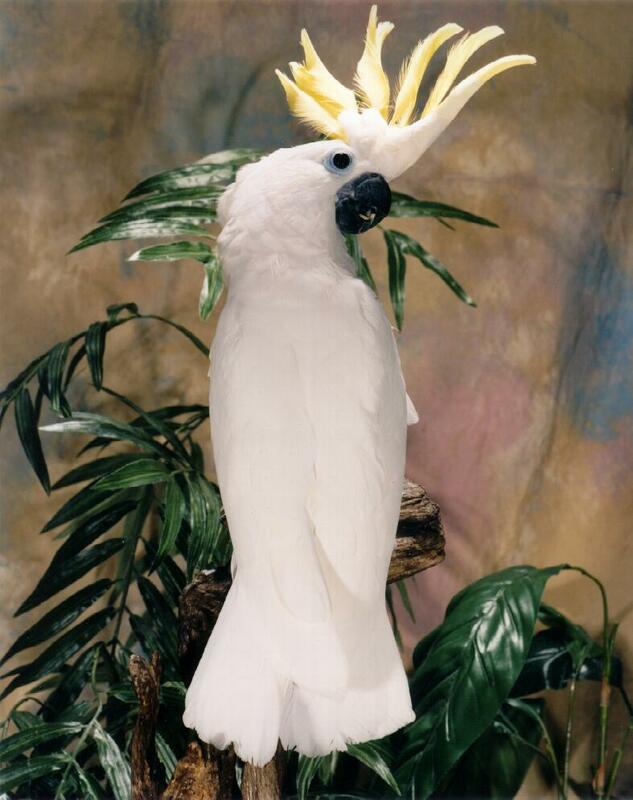 There should be perches for the bird to sit and swing on. 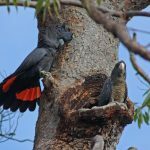 You must also provide plenty of chewable toys as these birds are rather prone to chewing. They thrive in a wide range of temperatures but ideally keep them in an area with a moderate room temperature. 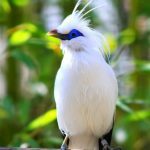 These birds are absolute clowns when it comes to personality. 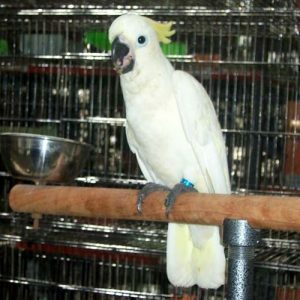 Jovial, fun-loving and gregarious, they can become a handful because of their constant craving for their owner’s attention. 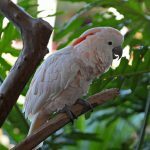 They can also be rather loud, so you’d either need to place them in a sound-proofed room or have very considerate neighbors. They also tend to get overly attached to one person, which might lead to aggressive behavior towards others. 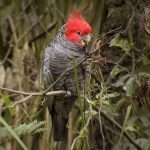 Their raucous calls usually are at their peak during dawn and dusk, as those are the times in the wild when they make noise to get others of the flock together (at dawn) and to return to their nests (during dusk). Tritons should get a quality seed mix, fruits, vegetables and a pelleted diet. 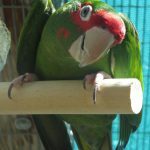 Make sure that they stay away from chocolate and avocado, as both of those are toxic for parrots. The water and food dishes in the cage need to be replaced daily with clean ones. A complete disinfection of the cage needs to be carried out every other month. Replace the chewed up toys from time to time as well. 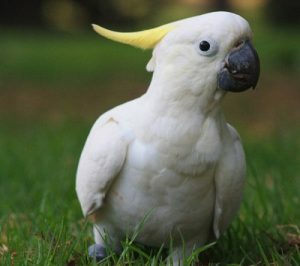 The nails and beak should be clipped at regular intervals or else they’d get too large, and may cause injury to the owner. Clip the feathers as well to ensure your cockatoo does not fly away through an open window. Clip the feathers just enough to make sure they glide to the ground, and not fall to it. 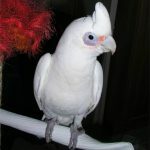 Triton cockatoos may suffer from respiratory problems, intestinal issues like inflammation and coccidiosis, psittacine beak and feather disease. Regular visits to a veterinarian usually keep these health issues at bay. The triton cockatoo can be a pricey bird to acquire, with its price ranging from $1,500 to $3,000. 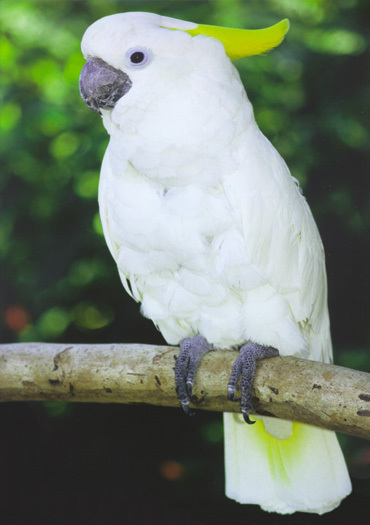 The crest is lowered when the cockatoo is relaxed and at peace, but becomes erect when they are excited or aggressive. They are considered pests across most of their range.